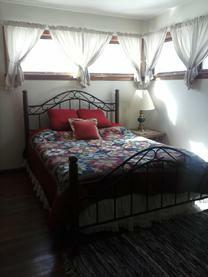 Ideal for groups, large families or anyone that needs more than one room at a hotel or motel. Great for extended stay corporate lodging, group retreats and family vacations or just a weekend getaway. 1800 sq.ft. of living quarters with tranquil pond. 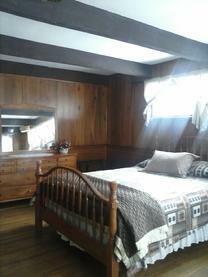 Four bedrooms and 1 & 1/2 Baths. 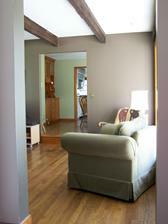 Hardwood floors and rough sawn beamed ceilings. 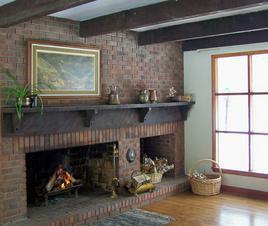 Build a cozy fire in the two very large brick fireplaces during the cold months. Central air for hot times of the year. Take in nature's beauty with the floor to ceiling picture windows in the dining & living rooms. Relax and enjoy the starlit nights at the outdoor bonfire pit by the pond. Convenient first floor laundry room. 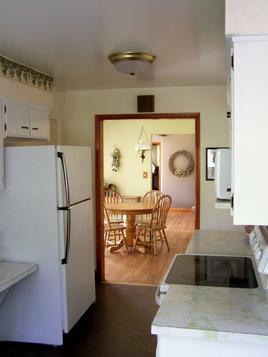 Fully equipped kitchen for your dining needs. Outdoor gas grill available. Hike and explore the 25 park like acres of the Farnam Estate, and admire some of the largest trees in Ohio that line the winding Telling Creek valley. 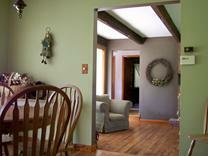 Situated near the middle of the Cuyahoga Valley National Park. Central location is just minutes to Cleveland , Akron, Medina, Twinsburg and more! The Charles Brush Lodge is located on Brush Road in Richfield,Ohio and is named after Charles F. Brush. Charles Francis Brush was an American pioneer. A famous Cleveland inventor during the mid to late 1800's, Charles purchased 2,000 acres of the 3,200 acre Farnam Estate in the late 1800's. In his later years, he donated the property to the county to be used as a park and is now known as Furnace Run Metro Park , previously known as Brushwood Park and known as John's Lake back in the 1800's. Everett Farnam had built a massive stone damn there in 1834 to form the lake to honor this father, John. The damn provided a larger inland lake to power his saw mills. Everett Farnam eventually breached the damn because he was fearful someone might drown in it. Easy to get to from anywhere and close to everything in Northeast Ohio! Five friends and I had the pleasure of vacationing at the Charles Brush Lodge for a recent weeklong event in Cleveland and Akron. 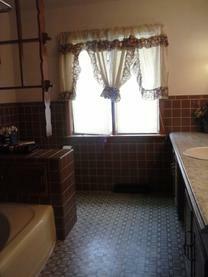 The location is perfect, set m...idway between the two cities, less than five minutes from I-77. Despite its proximity to almost everything in the region, the quiet, woodsy setting allowed for a total escape from urban life. 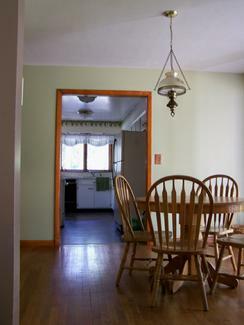 The house is clean with a well equipped kitchen. Washer/dryer and dishwasher are a big plus. 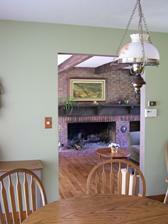 Between the four bedrooms, large living room and dining area there was ample room for six adults. We had four cars and were able to tandem park them in the driveway, two each, side-by-side. The property manager (Kathleen) is friendly and responsive. She was quick to get back to us before, during and after our stay. When I realized I'd left some items behind after departing, I asked Kathleen if she would send them to me. A package was on its way the next day. I recommend the lodge and would gladly stay here again the next time my travels take me to northeast Ohio.